Bernie Sanders is right. Given the growing costs and shrinking benefits of Obamacare, and the flame-out of “repeal and replace,” America should transition to Medicare for All. Last week he introduced his Medicare for All Act of 2017, which would do exactly that, while retaining and improving Obamacare during a four-year transition. Medicare, the current program for Americans over age 65, is a single-payer system, which means it is financed and overseen by the government, even though most providers are private. It is by far the most popular and efficient part of our health care system. In fact, many 64-year-olds can hardly wait to be 65 so they are eligible for it. Unlike private insurers, it doesn’t pick and choose which patients it will cover and for what medical conditions. All seniors are covered for the same package of benefits. But Medicare isn’t perfect. Benefits aren’t comprehensive (for example, there is no dental coverage), copayments are rising, and there is profiteering by providers. Sanders’ plan would introduce reforms that would help with those problems. It would expand benefits greatly, and out-of-pocket costs would be eliminated except for a small copay for prescription drugs. Even people who think this all sounds wonderful are concerned about the costs. Won’t taxes increase? How can we possibly afford single-payer health care? But in fact, this concern stems from a misunderstanding. Yes, income taxes and government expenditures would increase, but those increases would be offset by the enormous savings in premiums and out-of-pockets costs. This trade-off is not sufficiently understood, because the Congressional Budget Office estimates only costs to the federal government, not to patients. The fact is that if out-of-pocket costs are included, we would probably break even in the first year and in later years we would come out ahead, because inflation would be curbed. Obamacare has many virtues. It expanded access to about 20 million people, and it ended some of the worst abuses of the private insurance companies, such as denying coverage because of preexisting conditions. But it did little to rein in cost inflation, because it left our health system in the hands of private insurance companies, profit-oriented providers, and the pharmaceutical companies, all of which could pretty much name their price. As expenses rose for employers who provide health insurance, their answer was to cap their contributions. And as expenses rose for insurance companies, their answer was to shrink benefits and increase deductibles and copayments. Americans found that having insurance was not the same thing as getting adequate health care. Moreover, about 30 million Americans remain uninsured. The fundamental problem, the problem that underlies all the others, is that the United States has a market-based system. We’re the only advanced country that does. 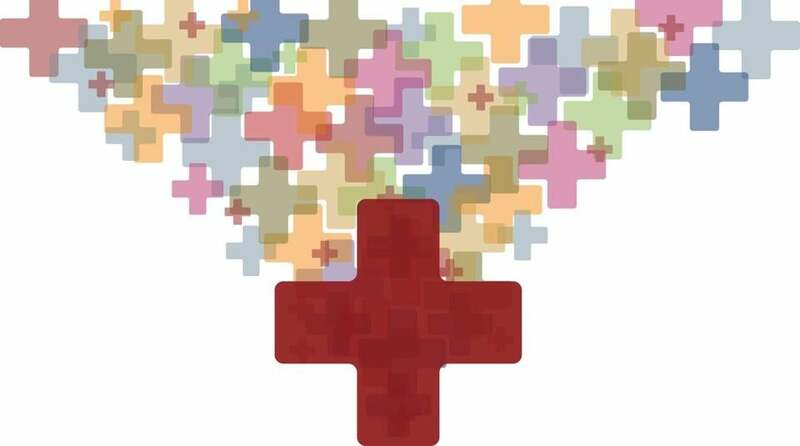 The systems in the other countries vary in details — some have single-payers like Medicare, others have tightly regulated private insurers — but they all have in common universal coverage in predominately nonprofit systems. In all of them, government sets benefits and prices in one way or another, including prices of prescription drugs, and administrative costs are much lower. And it works. Their health systems spend on average less than half as much per person as we do (that gap is growing), and their health outcomes are generally much better. Senators Lindsey Graham and Bill Cassidy say their drive is gaining momentum. In contrast, we have chosen to entrust our health care mainly to the commercial market. But while markets are good for many things, they are terrible for health care. Markets seek to expand, and each element in a market (think cars) tries to grow its share of the total by attracting more paying customers. But we want the health care system to shrink, not to keep growing. Health markets also can’t distribute care rationally. The people who most need care are usually the least able to pay for it. So providing it according to the ability to pay instead of medical need inevitably introduces inefficiencies and inequities. Moreover, health businesses usually don’t compete on price, but by marketing to affluent customers. Sanders’ Medicare for All Act envisages a four-year transition, which would begin by dropping Medicare eligibility from age 65 to 55, and enrolling all children 18 and under. Then, over the next two years, eligibility would be dropped one decade at a time, and in year four it would be extended to everyone. There would be no out-of-pocket costs, and the benefit package would be expanded. The system could be financed by an ear-marked 4 percent income tax. A family of four with an annual income of $50,000 would pay $844 a year, which is about $4,400 less than the average premium working families paid last year to private health insurance companies. I believe we would also need to move to a nonprofit provider system. Health care is a social good, not a commodity, just as primary education, fire and police protection, and clean water are. A market-based system is not only wasteful, it’s immoral. Winston Churchill famously said, “The Americans always do the right thing, but only after they’ve tried everything else.” In health care, we’ve tried everything else. The time has come for the right thing. Dr. Marcia Angell, former editor in chief of the New England Journal of Medicine, is a member of the Department of Global Health and Social Medicine at Harvard Medical School.